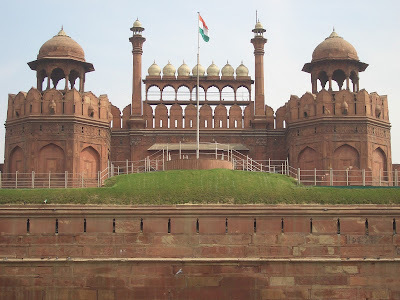 Delhi, officially the capital territory of India is a collection of a number of cities spread across the metropolitan region and has been continuously inhabited since the 6th century BC. Being the second most populous urban cluster in India, Delhi’s growth has expanded to incorporate towns in neighboring states. A union territory, Delhi resembles any state of India, with its own government, high court and an council of ministers headed by a Chief Minister. However it is jointly administered by the federal government of India and the local government of Delhi. Being such an important city throughout Indian history, the city has been constantly working to improve its design and infrastructure. Ancient invaders have made sure that they left the mark on the city be designing different pieces of beautiful architecture that are itself an amazing piece of work. Delhi will drive anyone crazy when get a views of its age old style and zealous past. It is an actual glimpse of its mystic history. From ancient buildings to the modern wonders Delhi offers anything one can desire for. The rulers who have ruled India from Delhi have left their influence in the cities designed in their own style. True to its past, Delhi even today is the center of India’s political and governmental activities. When you drive through the lesser known corners the experiences are most rewarding such as Lodi Gardens at dusk, listening to qawwali at Nizamuddin or the great fort of Purana Qila. This is an ideal way to uncover the real delhi. If you wish to explore the city with some assistance then take one of the city’s tours or hop on to the metro that is gleaming, cheap , efficient and connects delhi end to end along with its neighboring cities. Delhi has been home to many people for centuries and people from all part of India have stayed here and have enriched the city with their ethos and customs. Very few cities in India offer the real spirt of India at one place. Delhi is home to clamor of news makers, devoted essence of armed forces, allure of early world, allure of stylishness and definitely a sense of power. It always has remained a focal point of change which helped in churning our democracy for better results throughout the history. Influence by different rulers, the city has been home to different design masterpiece such as Indraparastha, Daulatabad, Old Delhi and many more. Surrounded and influenced by different flavors of architecture, culture and traditions, Delhi in one way resembles India’s history. With the addition of Metro Rail, Delhi has definitely has connected different eras of Delhi and added another great feature to its different design.